Well, on one of my days off, I visited Deedot Coffee House in Holland Park, prior to my trip to Spotlight for some sewing materials. 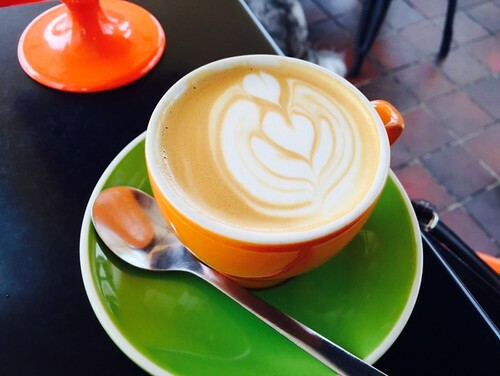 Parking is abundant on the street and it is a short walk to the cafe, which mostly have alfresco dining area. I made my order at the counter and proceed to one of the tables. Quickly enough, my flat white and my meal arrived. The coffee was pretty good, and drinking coffee on my days like these is a luxury, in comparison to the instant coffee available at work. I have not had Eggs Benny for a while now, so I opted for the classic breakfast. 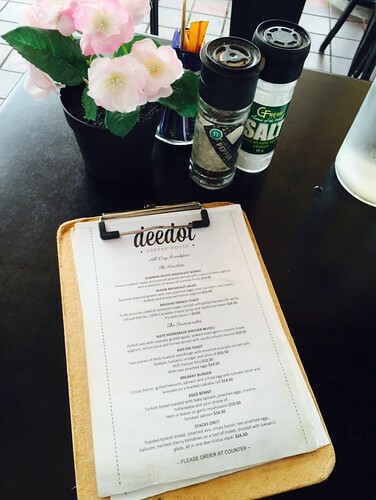 Deedot cafe served choices of either bacon, mushrooms, ham or smoked salmon on their freshly toasted Turkish bread. I enjoyed their Eggs Benny. 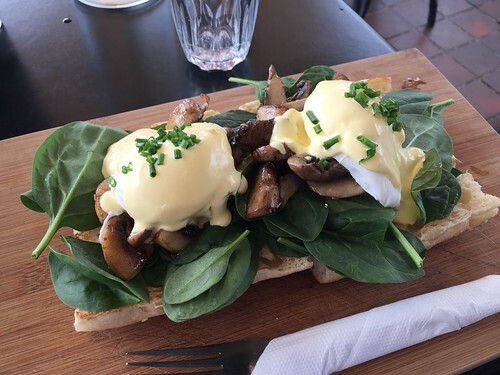 The mushrooms were cooked well and the eggs were poached to perfection. The hollandaise sauce was not too thick or runny and it was just at the right consistency and amount. Overall, not a bad dish.